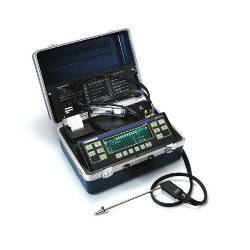 Unlike any other industrial grade combustion effi ciency and environmental analyzer on the market today, the ECA 450 conducts accurate combustion and emissions tests that will help you meet environmental regulations and ensure your equipment is burning effi ciently. 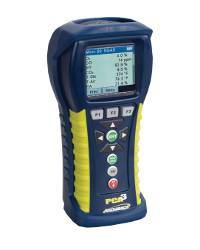 The ECA 450 is ideal for professionals concerned about combustion effi ciency, environmental compliance, or both. 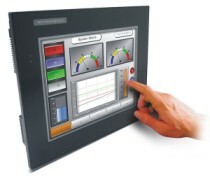 It enables plant maintenance engineers and managers, industrial boiler/furnace service technicians, energy coordinators, compliance offi cers, environmental auditors and safety managers to ensure that industrial equipment is burning effi ciently while environmental regulations are being met. Pumps & Probe Two pumps are included. The fi rst pump supplies gas sample to the sensors. The second pump supplies fresh air to purge the low range CO sensor when CO levels exceed 4000 ppm. Probe includes a standard probe and hose assembly equipped with a water trap, particulate filter, probe stop, 15 feet of hose and 12-inch probe tube. 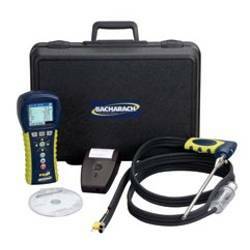 0024-3026 Bacharach ECA 450 Optional Sensor for Carbon Monoxide (CO) 4001-80000ppm ..
0024-3027 Bacharach ECA 450 Optional Sensor for Nitric Oxide (NO) 0-3500ppm ..
0024-3028 Bacharach ECA 450 Optional Sensor for Combutibles 0-5% (Oxygen Dependant) ..
0024-3029 Bacharach ECA 450 Optional Sensor for Nitrogen Dioxide (NO2) 0-500ppm ..
0024-3030 Bacharach ECA 450 Optional Sensor for Sulfur Dioxide (SO2) 0-4,000 ppm ..